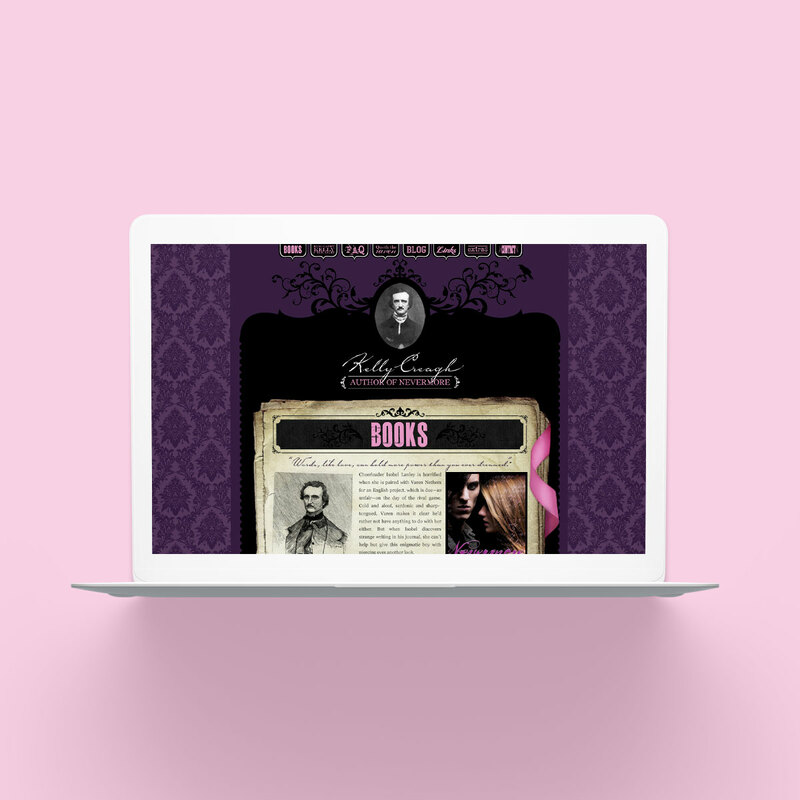 Jessica Verday YA Author Website designed by Noisy Ghost Co. 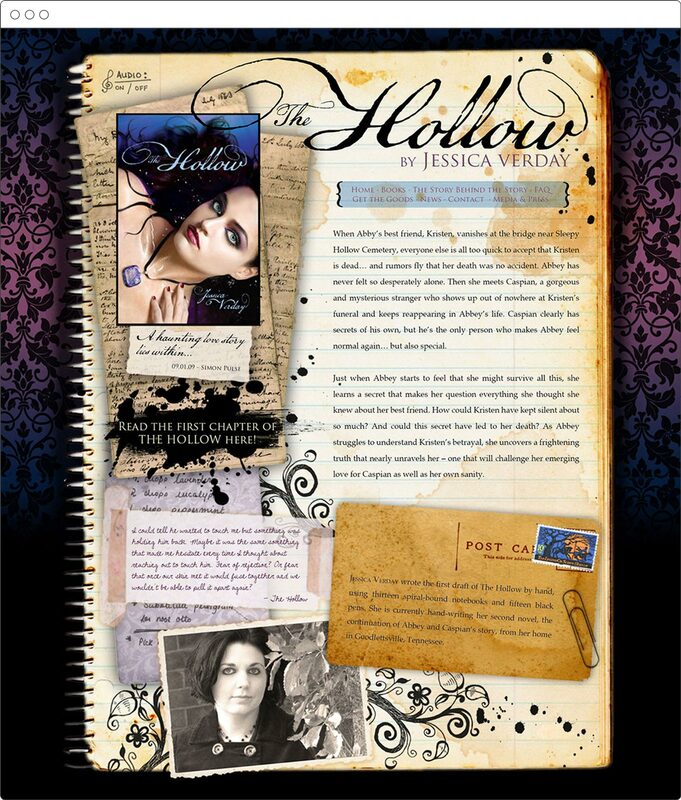 The promotional website for Jessica Verday’s debut novel, The Hollow, was designed with a young adult audience in mind. As the book trilogy has gothic undertones, we chose a layered aesthetic structured like an item owned by the protagonist of the series. A perfumer’s formulary, photographs of the novel’s settings, and even a Snickerdoodle recipe are hidden in Abbey’s “journal” website for teenage readers to discover. 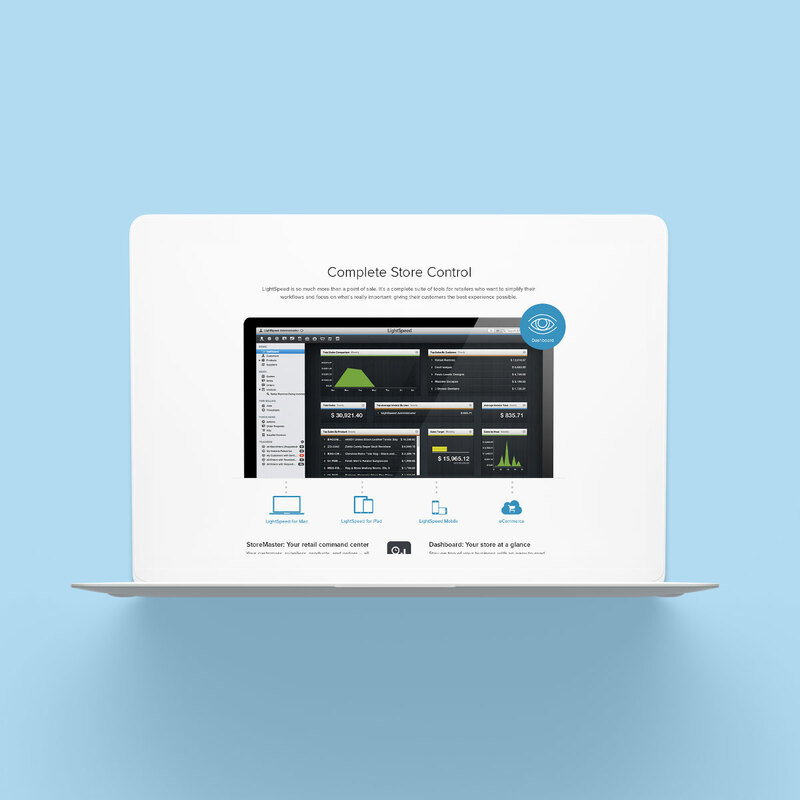 The Verday site is a good example of using found objects to support the overall visual design of the website. Objects refer to the source text — little winks to Jessica’s fans who know the novels’ details. We included a few easter eggs, turning the site into a treasure hunt for teenage readers. Items include a snickerdoodle cookie recipe and perfume formulary. Standard press materials for the author as well as purchase links to her books were made available on each page to ensure consistency of the experience. These items were conveniently placed for easy access. Engagement was encouraged for shopping and signups for marketing opportunities via email newsletter and Verday’s mail order web store. 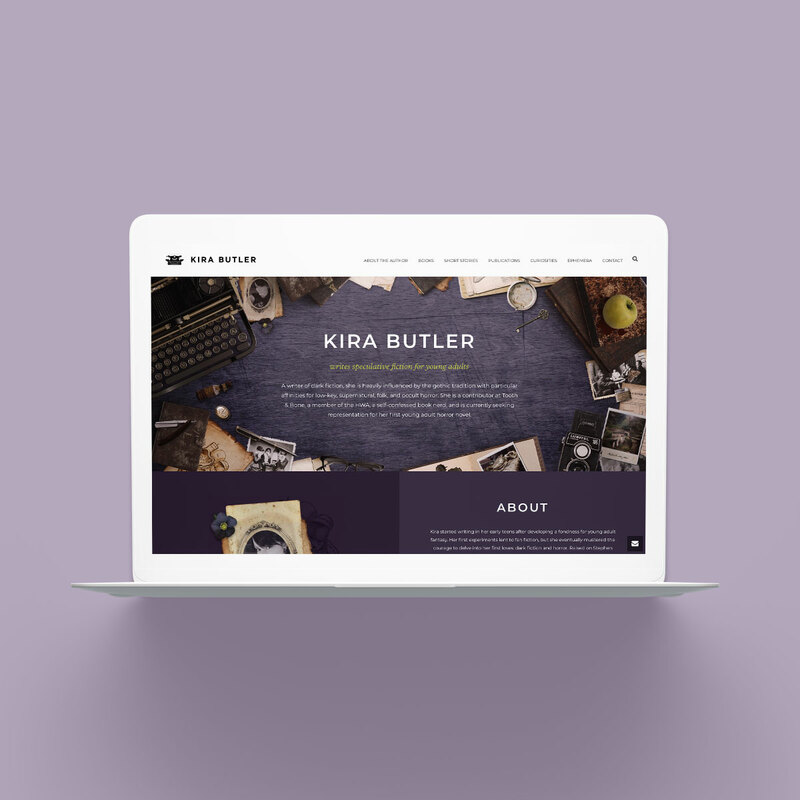 Part of the process of designing an author’s website around a book involves a different sort of research: when the material is rich, it’s helpful to be familiar with the world and characters as much as the author themselves. I requested the first book in the series to better understand the tone of Verday’s work, and incorporated it into the visual design. 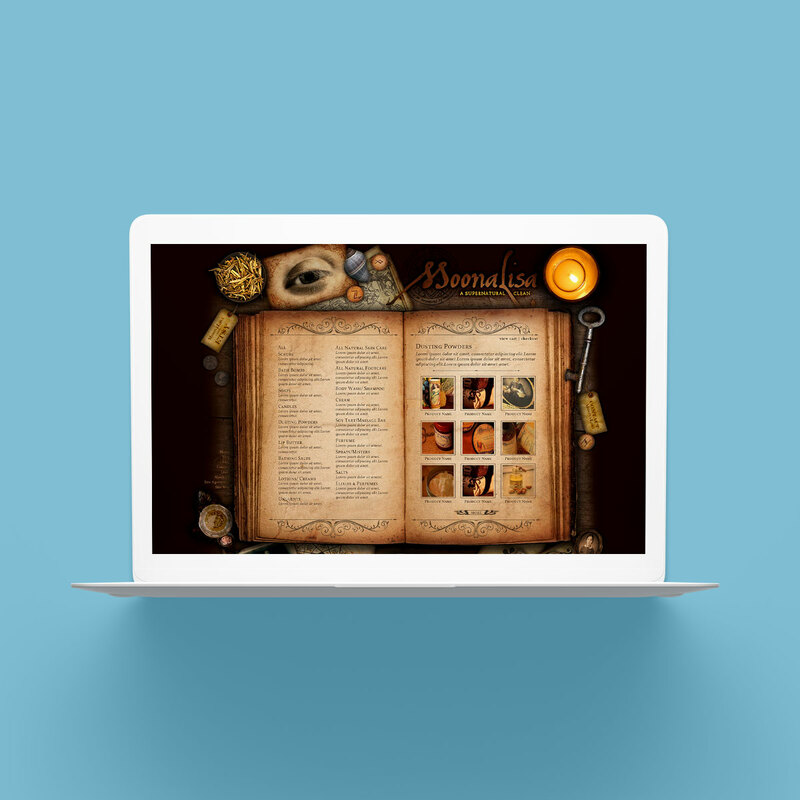 With collection and display practices from the Enlightenment as inspiration for the website, we modelled a desktop environment around the theme of an “alchemist’s workshop”. The user looks down on an open book where the product catalogue sits surrounded by found objects, photographed from MoonaLisa’s very own collection of curiosities.